The reader/writer relationship involves two minds and the flow of ideas between them is where creation occurs. Whether spoken or written; stories, fiction, related events and communication of an experience through the medium of words is a pleasure universally valued. What elements of the human mind make us so susceptible to story? For me, three factors make the difference: imagination, empathy and language. And in order to expand on that argument for fiction, three works of non-fiction take centre stage. Imagination features heavily in the first. Jane Smiley’s book, quoted above, builds on the fundamental tenets of theatre in her chapter The Psychology of the Novel. She takes the concept of ‘willing suspension of disbelief’ and explores the tacit agreement between reader and writer. A reader is willing to become involved, to emotionally identify with character, experience or thematic conceit, to permit the writer to invoke a cathartic experience and with sufficient mutual points of reference, that reader comes away from the book affected, entertained, discomfited or profoundly moved. I still recall wandering the streets of Sitges, sobbing uncontrollably, after finishing The Unbearable Lightness of Being. Empathy, as argued by Simon Baron-Cohen in his book, Zero Degrees of Empathy, is what makes us good humans. A stark analysis of where cruelty comes from, and why interactions with particular individuals will always end badly, Baron-Cohen explores the various degrees of empathic identification. Appreciating the pain and pleasure of others makes us more considerate and sensitive beings. Over-identification, such as anthropomorphism, can make us emotionally vulnerable. Under-identification, at worst, can lead to psychopathic behaviour. Yet at the heart of fiction, the reader must employ empathy. Without it, there is no sympathy, no irony, no acknowledgement of universal truth. Language, on the surface, is a blunt instrument consisting of limited characters. Yet the same could be said of musical notes, able to encompass the heights of Bach and the depths of Bieber. Elaine Scarry, in her harrowing and vital book The Body in Pain, looks at the relationship between physical disempowerment and inarticulacy. Not an easy read, but full of intelligent insights on the gaps between feeling and expression, Scarry makes the reader eternally grateful for the power of words. So … to engage with stories, we need to exercise some of our higher human faculties. By JJ Marsh – author, reader, Triskelite, journalist, Nuancer, reviewer and blogger. What would you do if you were invited to meet the man who had tortured you fifty years ago and had continued to torture you since? Could you shake his hand or would you want revenge? Eric Lomax was serving in the British army in Singapore when his unit was captured by the Japanese in 1942 and taken to a POW camp to work on the notorious Thailand-Burma railway. 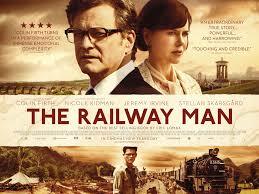 Known as the ‘death railway’, hundreds of thousands of allied POWs and Asians were forced to work as slave labourers. Cut off from the outside world, some of the POWs managed to assemble a crude radio to relay messages of allied victories so as to keep up morale. Lomax also made a map of the railway line which he hid. When the radio and the map were discovered, a group of prisoners, including Lomax, were rounded up and made to stand to attention under the blazing hot sun for 12 hours. He was subjected to alternated vicious beatings and half-drownings. He was thrown into a military prison for years, where he wasted away to a walking skeleton but miraculously survived. Elaine Scarry, in The Body In Pain, talks about how torture actively kills language, and in doing so destroys the ability to reach out to others, reducing sufferers of torture to an inarticulate and isolated state. Thus the victims of torture in the Far East were not only unable to articulate their experiences, they also suffered with profound feelings of helplessness and alienation on top of the symptoms of Post Traumatic Stress. POWs were also forced to sign an undertaking on liberation that they would not talk about the war crimes they witnessed, for the sake of the West reconstructing Japan as an ally. Condemned to suffer in silence, it would be decades later that former POWs could bear witness to the systematic torture and murder of tens of thousands of allied prisoners. Thus memoirs and films of their experiences have particular significance in giving them a voice. Fifty years later, after years of therapy and the support of his wife Patti, Lomax was able to talk about his experiences. He saw a newspaper article about an elderly Japanese man suffering from terrible flashbacks from torturing a British POW accused of hiding a map of the railroad. This man turned out to be “the only one with a face and a voice” who had haunted Lomax for decades, his interrogator: Tagashi Nagase. When Lomax realised Nagase was still alive and seeking atonement for his guilt, he felt outraged and wanted to: “drown him, cage him, beat him senseless” like he had been. He was scathing when he read that Nagase felt he had been forgiven by God, asking how his sense of guilt could ‘simply vanish’ if no living man had pardoned him? A meeting of reconciliation was organised between Lomax and Nagase by the Medical Foundation for the Care of Victims of Torture, close to the old Prison camp site on the Bridge over the River Kwai. Lomax initially refused to meet with him, claiming he wanted to kill him if he were to confront him. These thoughts of revenge went against his religious faith, which he says was fundamental to his survival through all of his ordeals but would have only added to his torment. An engagement of this kind had apparently never been done before and his psychiatrist discouraged it, worried it could trigger traumatic flashbacks. Lomax corresponded with Nagase long before he could meet him and was initially sceptical about Nagase’s Buddhist beliefs. When the meeting eventually took place, Lomax was able to shake the hand of a tearful Nagase who was so overcome with emotion and remorse that he trembled and apologised repeatedly. Nagase described torture scenes Lomax could no longer recall, taking responsibility for what happened. His grief made Lomax so convinced of his regret that he gave him a formal forgiveness saying Nagase should “no longer attempt to carry on his own shoulders…the guilt” of the Japanese nation. They talked for a long time and found that they had a lot in common, warming to each other. Had they met under different circumstances they may have become friends. The engagement with Nagase showed Lomax how his torturer was equally haunted by the past and it accomplished more than Lomax had imagined: “Meeting Nagase has turned him from a hated enemy, with whom friendship would have been unthinkable, into a blood-brother.” Lomax’s nightmares began to disappear, and he was able to find a measure of peace. He wrote that remembering was not enough and how it was impossible to come to terms with what happened when the past is compiled of “a pile of wounded memories, angry humiliation” and the future is “just a nursery of revenge.” A lifetime overshadowed by inarticulate pain had miraculously turned into one of forgiveness and reconciliation. 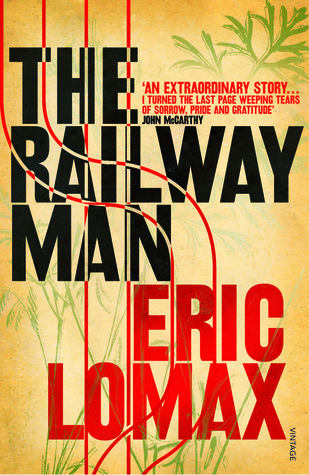 You can read this extraordinary story in “The Railway Man” (Vintage Books, 1996) the award winning memoires of Eric Lomax, or see the new film based on his book “The Railway Man” by director Jonathan Teplitzky, which premiered at the Toronto Film Festival in September 2013. The meeting between Lomax and Nagase was made into a documentary film “Enemy, My Friend?” by Mike Finlason in 1995 and a previous television drama has been made about Lomax’s experiences in 1995 called “Prisoners in Time” starring John Hurt as Lomax. Takashi Nagase wrote a series of testaments of his life during and after World War II including “Crosses and Tigers” (Routledge, 2007).